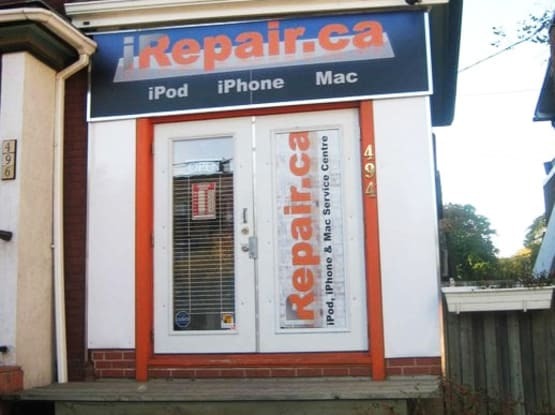 iRepair is a Apple phone repair store located at 494 College St., Toronto, near Bathurst. They specialize in repairs to iPhone, iPod, iPad and Macbooks. They service all Makes and Models and offer unlocking of your Smartphone. iRepair has been in business for over 10 years and offer you the same great service at 8 locations now. Please Enter correct hours if you know them. Please Enter correct address if you know it. Please Enter correct contact info. if you know it.